SAN FRANCISCO, CA—(MARKET WIRE)—February 23, 2015—Proof Reading, LLC, a leading provider of proofreading and editing services, has announced Melissa Iori, a sophomore at Marist College in New York, as its 2014 Scholarship Winner. The $1,500 scholarship was established to help deserving undergraduates further their college education and reach their goals. Iori, who has a cumulative GPA of 3.925, is majoring in Computer Science with a concentration in Software Development and a minor in Creative Writing. She actively participates in her school's computer club, writes short stories in science fiction, and has recently won an award for her internship creating an interface for networks at IBM. Iori's essay was chosen from more than 400 submissions. The Proof Reading, LLC, scholarship is awarded to an undergraduate student who is attending an accredited four-year U.S. college or university and who maintains a cumulative GPA of at least 3.5. The award is granted based on the student's submission of a minimum 1,500-word essay on a subject selected by Proof Reading, LLC. Essays are judged on grammar, content, and clarity. As the number of those in need in America increases, the needs of charities that provide food, shelter, clothes, and healthcare also increase. This has driven many philanthropic individuals and institutions to reflect on where to put forth their efforts. Please discuss what causes you think organizations and individuals should support and why. 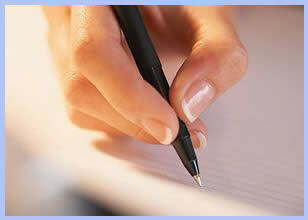 Proof Reading, LLC is an industry leader in business document editing and proofreading. The company provides high-quality business editing services to businesses and individuals, utilizing the convenience of the Internet. Located in San Francisco's SoMa District, Proof Reading, LLC has a proven editing staff that provides high-impact results and quick return times.